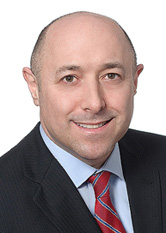 Jeremy G. Weiss has experience in a wide array of complex business litigation and regulatory matters, including health care issues, intellectual property, RICO claims, fraudulent conveyance, construction claims on behalf of both owners and contractors, and professional responsibility. representing medical practices and individual physicians in litigation, professional matters, and disputes involving corporate, contract, and labor issues. obtaining summary judgment on behalf of a property owner arising from misrepresentation of latent defects. Mr. Weiss is also a contributing author and an associate editor of the Guide to New Jersey Contract Law (Second Edition), published by the New Jersey Institute for Continuing Legal Education, and was a panelist for a New Jersey Institute for Continuing Legal Education seminar entitled "Drafting, Negotiating and Litigating Agreements: Are Your Contracts Bulletproof? ".